We craft beautiful web design solutions. Brand Core Media, a leading web design company in Ahmedabad offers customised, traffic driven, functional and secure website designs to variety of clients ranging from corporates to start-ups. Our in-house team of Ahmedabad web design company work throughout with clients starting from building wireframes to ensuring timely deployment of project, within budget and promised functionalities. We are an integrated web design & development company in Ahmedabad. We will help your brand to stand out digitally. We combine the talent of creative web designers, developers, search and social strategist to deliver the finest digital product for our website design company in Ahmedabad clients. Whatever may be your goal of increasing sales, generating leads, getting more presence or building online reputation, we here to help you with our web design Ahmedabad services. Our expertise covers integrated website branding solutions with e-commerce, SEO, SMM and conversation rate optimization makes us best web design company in Ahmedabad. If you are looking to transform your current website or looking to built a newer one for your brand, we are the agency to help you. We are result driven website development company in Ahmedabad committed to deliver engaging and performing websites. Our dream is to produce fantastic user experience that reaches the widest possible audiences online. While working for years developing custom web design in Ahmedabad we know how it starts and ends with user experience. Focusing on end result, we optimize our technical skills, creative impulse and digital insight to get you best fitting website for your digital goals. Be it reducing bounce rate by redesigning site or generating traffic and interactions though new site, our web design solutions are always customised to server you end goal matching your budget, timeline, customers and ROI. Brand Core Media is unique when it comes to website design companies, especially in Ahmedabad. Our approach for website design is more focused on aesthetics, performance, targeted traffic it generates and overall website conversation rate. We create website applications that deliver business and excellent performance over the online competition. Traditionally we are not only designing a websites that are good for browsing, they are purposefully made for delivering results. We spent lot of time to understand your purpose and researching competition to create a website design in Ahmedabad that achieves objective with ease. Each of our website is tailored to the custom requirements of our client in Ahmedabad. From a classic flash website, portfolio management website and custom CMS driven website to larger open source based Ecommerce website, we desire to produce a site that not only perform for your brand but creates positive awareness and solid online identity. And in total we try add fresh and unique perspective to your business. This is because at Brand Core Media, as leading Web Design Company in Ahmedabad we believe that your website is not only your online representation but an opportunity to impress potential customers that are just looking for your type of product or services. Just like creating unimpressive print ad will not get customers knocking on your doors, an outdated and not so appealing website for your business will do the same. Our team of young web designer in Ahmedabad are highly talented and work with zeal of creativity to produce cutting edge web design and development solution. Our approach for building websites is specialized yet unaffected with high budget. Our love for appealing website designs and application of all contemporary technology makes us dedicated for developing your online identity. While providing web design services in Ahmedabad, we believe that your business can only cultivate and achieve new horizons if your web presence is perfect and representing your brand thoroughly. Our aim is to help you increase your cost efficiency and build a platform for revenue generation for your business. We try to emphasize on creating two way communications through your website by exploiting all possible online channels and potential of internet mediums. Whether your business is established or looking to take its first leap, with our expertise Ahmedabad web design company we will deliver the best design for your organization. Our service to our customer doesn’t stop once we finish your web design project. We support you and your website at every step for hosting, security, search engine optimization, social media marketing, content writing for blogs and news letters and email marketing. We work with an aim to create perfect online image for our customers. The truth with the website design company Ahmedabad is that there are many such companies offering almost the same types of services with more or less same cost. This makes difficult for customers to identify the best website design Ahmedabad company that separates itself from the crowd. WE CREATE CMS WEBSITE LETS MAKE YOURS. Our CMS website design company in Ahmedabad offers easy content management system (CMS) based website that allows you to update your content in minutes, be it adding, deleting or editing text, images, videos, pages, blog posts or other information on your website. Also, easy to operate admin panel allows you to make speedy changes and take charge of your website when you need it. We are boutique ecommerce web design and development company in Ahmedabad. Our team of programmers and design experts are well experienced to achieve clear business goals through customised and high performing ecommerce website. 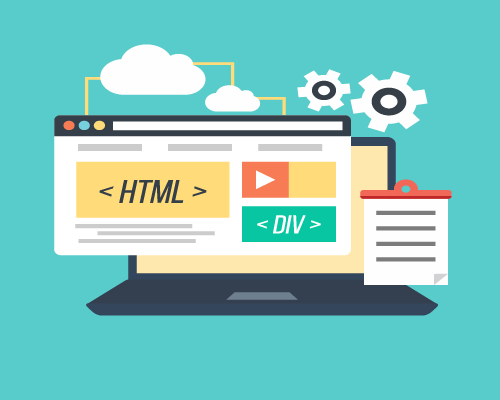 Also, our web design solutions are well equipped with latest technology, Google ranking parameters and mobile responsiveness to access from any device. E – COMMERCE WEBSITES THAT BRING BUSINESS. WE CREATE MOBILE WEB DEVELOPMENT. It is right time to get your website mobile responsive. If your website is not developed keeping in mind the mobile devises and variable screen sizes, then there are chances that you are missing more than 50% of quality traffic. We at Brand Core Media can help you to develop website accessible through mobiles and tablets with right navigation and UX. With our experience of designing custom and template based WordPress websites, we develop website that makes perfect balance between design, technology and usability. Also, our sites are optimized with Google SEO standards. As WordPress web development company in Ahmedabad, we can make any customised website with technical specifications you need. WORDPRESS WEB THAT BRING BUSINESS. We help you get unique online identity. Show your visitors what your brand or services are with interactive web design. The online world is highly cluttered and attention grabbing website design is the best thing that you can have for clear say. Our designers and developers draft visual appeal that generates more wow, better organic traffic and great functionality. Getting a website is not enough these days. You need to maximise the conversation for every visit on your website. And this can only be done through friendly UI and focused UX. It works as a smart blend for any website design to have good online appeal. At Brand Core Media, as a leading website branding agency in Ahmedabad we understand the importance of proper branding for effective communication. We help businesses to built their brand personalities online by considering smallest details of how your customers like to engage with your brand. However, the thing that separates us from the rest is that we are not only Ahmedabad web designing company that offers only online solutions. We are brand management and brand identity development company that understands that value of design and what aesthetics makes the brand really successful in the market. While designing your website or complicated web applications we apply all our knowledge of successful branding and advertising. To know more about website design company in Ahmedabad and how we can help your brand to sail new heights online contact us today. Call us or write to us. Meet for coffee and let’s discuss your brand and your web design requirements. We are here to help you left right and center for your website, e-commerce and web promotions.